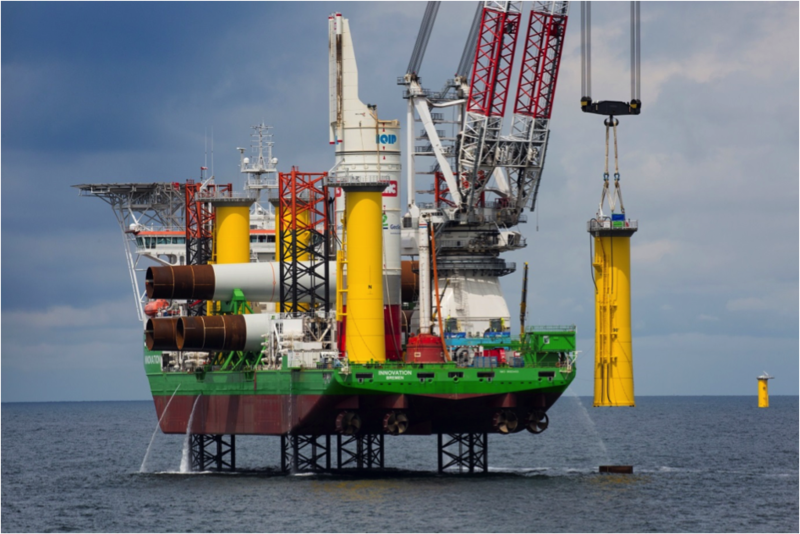 The Offshore Wind Farm, MERKUR Offshore is located in the German Exclusive Economic Zone (EEZ) in the North Sea, approximately 45 km north of Borkum Island in the north-eastern part of the specified zone for offshore wind farms. The project site covers an area of 47 km² in total. Merkur Offshore will be equipped with 66 wind energy converters of GE’s offshore wind turbine “Haliade 150” with nominal power of 6 MW each. 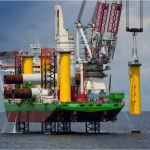 The hub height of a single turbine is more than 100 m above water level and the innovative gearless 6 MW machine is equipped with one of the largest rotors in the wind industry covering an area equivalent to three football fields with its diameter of 150 m.
Merkur Offshore GmbH is a joint venture between its shareholders Partners Group, InfraRed Capital Partners, DEME Concessions and Coriolis focusing on the construction and operation of the Merkur Offshore Wind Farm. Our mission is to support the creation of clean and sustainable energy. We are currently building 66 GE Haliade 6MW turbines allowing approximately 500,000 households to be supplied with green energy. During construction and operation our highest priority is the health and safety of all project members. We live by our credo: Stop, Review, Plan, then Do! With the same meticulous care, we protect the environment at all work levels and at any phase of the project. The project management team, located in Hamburg, Germany, is directly embedded in the company. It coordinates the interfaces between the key contractors GeoSea NV (for the Balance of Plant scope) and GE Renewables (as Turbine supplier), the grid operator TenneT and the public authorities. Merkur Offshore GmbH is a joint venture between Partners Group, InfraRed Capital Partners, DEME Concessions and Coriolis. In August 2016, the project finance milestone was successfully achieved having been supported and actively managed by all partners. Partners Group is a global private markets investment management firm with over EUR 54 billion (USD 57 billion) in investment programs under management in private equity, private real estate, private infrastructure and private debt. The firm manages a broad range of customized portfolios for an international clientele of institutional investors. Partners Group is headquartered in Zug, Switzerland, and has offices in San Francisco, Denver, Houston, New York, São Paulo, London, Guernsey, Paris, Luxembourg, Milan, Munich, Dubai, Mumbai, Singapore, Manila, Shanghai, Seoul, Tokyo and Sydney. The firm employs over 900 people and is listed on the SIX Swiss Exchange, (symbol: PGHN) with a major ownership by its partners and employees. InfraRed Capital Partners Limited (“IRCP”) is a leading global investment manager focused on infrastructure and real estate. IRCP operates worldwide, from offices in London, Hong Kong, New York, Sydney and Seoul. With around 120 professionals, IRCP manages more than US$9bn of equity capital in multiple private and listed funds, primarily for institutional investors across the globe. To date, IRCP has launched 15 funds, including two companies listed on the London Stock Exchange: HICL Infrastructure Company Limited and The Renewables Infrastructure Group. IRCP’s track record in infrastructure and energy dates back around 20 years, and today it is one of the world’s largest managers of energy and infrastructure projects, with investments in over 175 projects worldwide. IRCP has a long and successful track record of investing in low carbon generation and renewable energy infrastructure projects, including wind farms, solar parks and energy-enabling infrastructure, such as standby generation. IRCP creates real value not only for investors, but also for partners, and especially the users of assets and the communities surrounding them, which often benefit from new and refurbished buildings or infrastructure. IRCP strives to be a responsible investor and to develop and manage long-term sustainable energy and infrastructure assets. The Belgian dredging, environmental and marine engineering group, DEME is an international market leader for complex marine engineering works. Driven by several worldwide challenges (i.e. rising sea level, the scarcity of raw materials, reduction of CO2 emissions, the growing need for energy, and the contamination of our waterways and soils), DEME has transformed from a solely dredging and land reclamation company into a worldwide innovative and multi-disciplinary marine engineering and environmental group. Building on 170 years of experience and know-how, DEME has moved organically into several related activities, such as the financing of marine engineering and environmental projects, and the execution of complex EPC-related marine engineering projects. The latter projects include civil engineering works, development and construction of renewable energy projects, provision of services for the oil, gas and energy sector, decontamination and recycling of polluted soils and sludge, mining of marine resources (granulates and minerals), etc. Thanks to its integrated company structure, DEME emerges as a strong global solutions provider, which offers its clients overall solutions. DEME has high-tech and versatile fleet. DEME was named ‘Belgian Enterprise of the Year 2015’ and has 4,600 employees worldwide. In 2014, the group achieved a turnover of €2.6 billion. 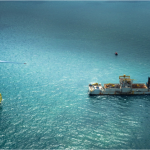 Coriolis FOAK SAS is a 50:50 joint venture between GE Energy Financial Services and ADEME. A strategic GE Capital business, GE Energy Financial Services is a global energy investor that provides financial solutions to help meet the world’s energy needs. Drawing on its technical know-how, financial strength and strong risk management expertise, GE Energy Financial Services invests in established capital intensive projects and companies. The firm has 35+ years of experience in managing energy assets through multiple economic cycles, and a global portfolio that spans conventional and renewable power, as well as oil and gas infrastructure projects. ADEME (Agence de l’Environnement et de Maîtrise de l’Énergie) is a French public entity in charge of environmental policies and renewable energies. It operates a €4bn program (the “Investment for the future” program) on behalf of the French State, which supports innovation in its areas of interest by providing grants or investing in equity in innovative companies. It supports innovative projects in getting from the lowest maturity range up to their first commercial-scale deployment. Aifter the acquisition of Alstom’s energy businesses (Alstom Power and Alstom Grid) by General Electric, Alstom’s wind business was transferred to General Electric (GE) in September 2015, Alstom’s (now GE’s) wind turbine designed for offshore operations is the “Haliade150-6MW”. Onshore and offshore prototypes of the “Haliade” were installed in 2012 and 2013, respectively, and the type certificate was issued in December 2014. 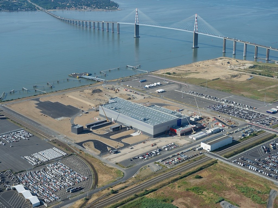 The “Haliade” has a 6 MW direct drive wind turbine and a 150 m diameter rotor, with a blade stretch of 73.5 m.
The production sites for nacelle and generator assembly are located in Saint-Nazaire (Figure 7). Two other plants are expected to be operational in Cherbourg by the end of 2017, and these will produce blades and towers. During construction, the scope of works is mainly executed by the EPCI Contractors, GeoSea (for the Balance of Plant scope) and GE Renewable (as turbine supplier). GeoSea is the specialist for complex offshore marine engineering projects in the DEME Group. It offers a wide range of services, such as EPCI contracts, foundation transport and installation, wind turbine logistics and installation, jacket pre-piling, survey, soil investigation and horizontal directional drilling. GeoSea has a track record of over 700 installed foundation piles, which were planned by in-house engineering in order to choose the most efficient installation method using GeoSea’s own fleet of specialized installation equipment. GeoSea is executing the Balance of Plant scope within the Merkur Offshore project, which involves the engineering, procurement, fabrication, installation and commissioning of the offshore foundations, offshore substation and the inner array cabling. After the acquisition of Alstom’s energy businesses (Alstom Power and Alstom Grid) by General Electric, Alstom’s wind business was transferred to General Electric (GE) in September 2015. Alstom’s (now GE’s) wind turbine designed for offshore operations is the “Haliade150-6MW”. Onshore and offshore prototypes of the “Haliade” were installed in 2012 and 2013, followed by issuing of the type certificate in December 2014. In 2016, GE installed and tested one turbine at Østerild, Denmark, and America’s first offshore wind farm at Block Island off the coast of Rhode Island, which has a capacity of 30 MW. 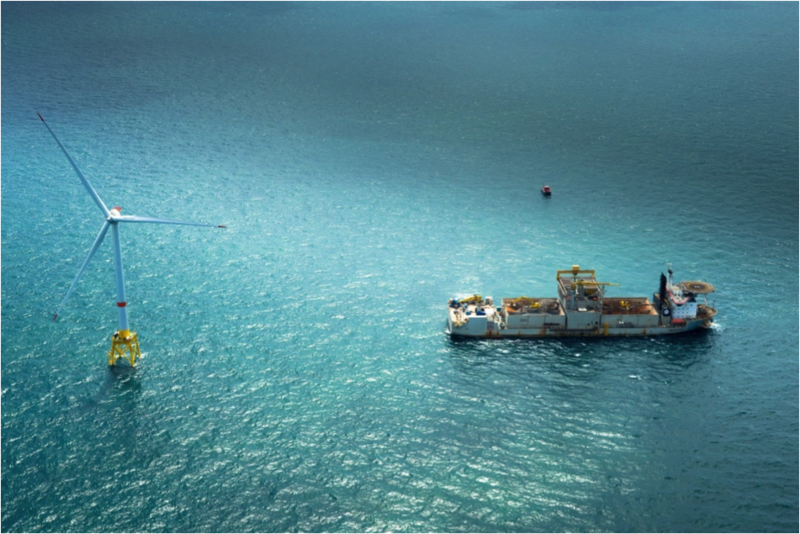 For the Merkur Offshore project, GE Renewables delivers 66 turbines with a nominal output of 396 MW per hour. 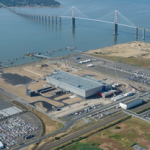 The production sites for nacelle and generator assembly are located in Saint-Nazaire. 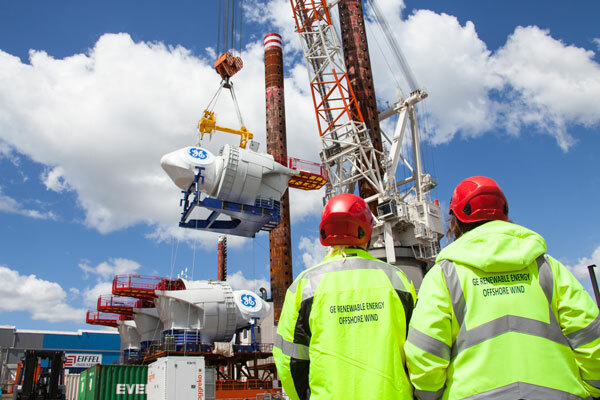 In addition to engineering, procurement and production, GE Renewables will also undertake the installation of the turbines offshore.